Rhinestonz & Beads is a proudly independent, NZ-based, family-owned online business, supplying Swarovski®, Preciosa® and other crystal elements and associated products to the craft, dance/stage/performance, nail art, fashion and bridal industries (all of which we love and enjoy!) 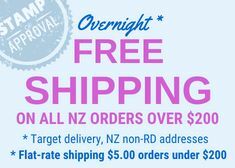 in NZ and the world, by online retail and wholesale means. Since 1986. We are the only Official Distribution & Brand Partner for Swarovski® components in NZ, and one of only four in total in Australasia. We are the only Authorised Reseller for Preciosa® crystals in Australia & NZ. We pride ourselves on being a true-blue kiwi-made business. We aim to always strike the perfect balance between being big enough to be able to offer expert advice, excellent service, an internationally recognised range with competitive pricing, yet small enough to care about your enquiries and your orders personally. As a business we belong to the NZ Retailers Association and we're Affiliate members of the NZADT. From time to time we also support, by way of advertising or as a vendor, various festivals, events and national competitions. Our rhinestones and beads decorate 'Faberge' Eggs, Designer Clothing, Horse Tack, Animal Collars, Candles, Mirrors and Photo Frames, Phones and iPods, Quilts, Art Works and Home Decor. Anyone and everyone who has ever or will ever need rhinestones or crystals! Textile Artists, Dressmakers, Scrapbookers, Ballroom and Dancesport Dancers, Nail Artists, Jewellery Designers, Fashion Designers, Costume Designers, Florists, Cake Decorators, Events Industry Organisers, Hairdressers, Make-up Artists, Equestrian Supply Designers, Cabaret and Theatre Wardrobe, Ballet Companies, Hip-Hop Groups, Burlesque Performers, Gymnasts, Aerobics Competitors, Magicians, Competitive Pole Dancers, Professional Performers, Ballet Mums, Tap and Jazz Dance Schools, Irish Dancers, Milliners, Bead Shops, Upholsterers, Salsa and Ceroc Dancers, Chorus Groups, Artistic Ice and Roller Skaters, Beauty Therapists, Bodybuilders and Figures Competitors, Wedding Invitation Designers, Quilters & Crafters! June, the founder of the company, was a successful competitive speech and drama student in her youth with a secret and unrequited desire to do competitive dance. June's mother, Doris, was an accomplished tailoress in her day and would make all of June's costumes for speech and drama competitions as well as sewing professionally for menswear shops in Wellington. Running in the family was an artistic craft-oriented talent, and it was only natural that June would also become a talented dressmaker in her own right, making her own clothing from a young age, entering several local and national fashion competitions, winning many with her innovative designs. June went on to be a professional dressmaker for many years. Amassing a wealth of dressmaking and designing experience, June's expertise covered bridal, fashion, and all things dance, stage and performance. June's own daughter Donna was introduced to dance, diamantes, and the sewing machine at an early age in the 70's, doing ballet and modern dance until her late teens in the 80's, sewing and embellishing her own (and Barbie's!) wardrobe as she went. The 'sewing cupboard' meanwhile became larger and larger and larger to the point where word of mouth spread and many dancing mum's would contact June for 'a snippet of this and a share of that', until it was a natural progression for June, in 1986, to mail out her first price lists of fabrics, sequins, rhinestones and trimmings to a handful of dedicated 'dancing mums' all around New Zealand who were sewing costumes for their daughters. As word of mouth about this totally co-ordinated range of dance fabrics and trimmings spread (no websites or email in those days) her database of faithful clients grew along with the range of products and services offered. Donna in the meantime was busy getting educated, enjoying professional aerobics instructing at Mainly Women, Auckland University, Fay Richwhite Centre, YMCA and eventually going on to manage, teach classes in, and train the aerobics programme at Les Mills World of Fitness. As many dancers do, she dabbled in other dance roles, enjoying such avenues as cheerleading, t.v.ads, and the early NZ hip-hop dance scene in Auckland. Whilst living and working overseas as a teacher she also established the first dance school for ballet and modern dance in Samoa, and upon returning to NZ with a young family, entered the fold of what would now become very much a mother-daughter team alongside June. Their two huge work-rooms were constantly full of colour, sparkle and fun as they rolled out fabrics and trimmings that June had sourced from the manufacturer or had dyed for her from as far afield then as Japan, Italy, Austria, The Czech Republic, Canada, China and England. It was a busy time, and moving from paper catalogues to online catalogues was imminent. After having launched the first website the business rapidly became recognised by clients, suppliers and competitors worldwide. We even had favourable mention in the daily editorial in The New York Times in an article entitled "In Search of The Perfect Button". "Leotards Unlimited" and "Rhinestonz" as it was called then, had now well and truly become NZ's, and arguably one of the world's foremost suppliers of co-ordinated dance-oriented fabrics and trimmings for stage. Clients came from as far afield as Japan, Norway, Canada and the U.S., the U.K. and the Netherlands for regular shipments of our co-ordinated dance fabrics and trimmings. In 2004 June and Donna began adding crystal beads and jewellery findings to their range, effectively broadening their market to incorporate bridal, craft and jewellery designers. 'Bling', sparkle, and top quality crystal components rapidly became a sought after product for this section of the market, and for the fashion, dance and stage scene the demand for top quality crystal components was broadening and increasing. Meanwhile, Donna had also begun her own top-end jewellery brand 'Mia Donna Designs' supplying to exclusive retail outlets for bridal and fashion in Wellington, Auckland and locally in New Plymouth. While Donna was building experience and hands-on running of her own jewellery brand and the combined businesses, June was able to step back and allow day-to-day operations to take place based on the excellent systems she had developed over the years. As June neared retirement and Donna wanted to step up to management and ownership, the decision to sell the bulk of the fabrics, thereby moving from "Leotards Unlimited" and 'Rhinestonz" to concentrate on the increasing demand for "Rhinestonz & Beads", was a relatively easy one. 2009 saw June and Donna launch their second website with e-commerce arriving to Rhinestonz & Beads' mail order systems, and in 2013 our third website with even great e-commerce functionality was launched. In 2014 "Rhinestonz & Beads" became Swarovski's Official Distribution & Brand Partner for NZ, and one of only four across Australasia. In the same year "Rhinestonz & Beads" became Preciosa's only Authorised Reseller for Australia & NZ. Still going strong in 2017 "Rhinestonz & Beads" is a proud example of hands-on kiwi-entrepreneurship. Their proud record of positive customer feedback, excellent customer service and year-after-year return clients reflect their overall philosophy; Quality products ‘on hand and ready to go', value for money, friendly, knowledgeable and helpful service. "Hi Donna, Arrived yesterday and looks amazing - will send you a photo when she is all done up in her tutu - thanks for your help - the most amazing service :)"
HAVE A WONDERFUL EASTER EVERYONE, AND SEE YOU ALL AFTER ANZAC DAY!